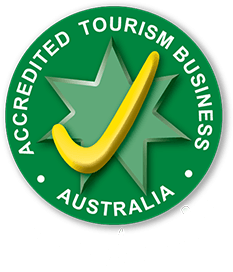 There’s always something fun happening at Adelaide Zoo!  Mark your calendar with these exciting events. 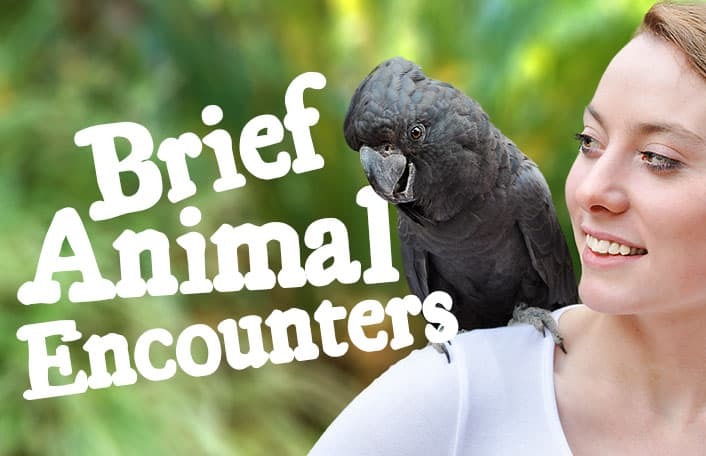 Get even closer to some of your favourite animal friends. 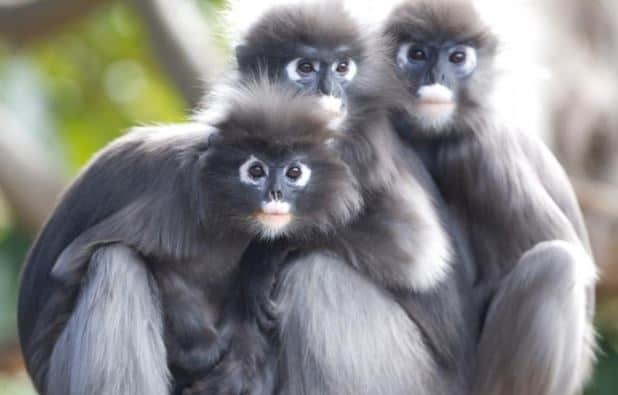 Adelaide Zoo is home to a family of four delightful Dusky Leaf-monkeys, siblings Jingga, Nanti, Nakal and Tevy! Eldest brother, Jingga, was born at Adelaide Zoo on 7 August 2006. He is a fairly cautious chap and is not as bold as his brother and sisters. Younger brother, Nanti, was born on 21 July 2008 and is full of confidence! He has become the leader of the group since the death of his father, Goblin. Nakal was born on 23 January 2011. Her name means mischievous and she’s always on the lookout for new activities and fun. The youngster of the troop, Tevy, was born on 5 August 2012. She spends a lot of time with Nakal, who performed a lot of the mothering duties when Tevy was young. Both sisters are very playful and can be seen defying gravity as they play with their older brothers in the 100-year-old fig tree that forms part of their habitat. 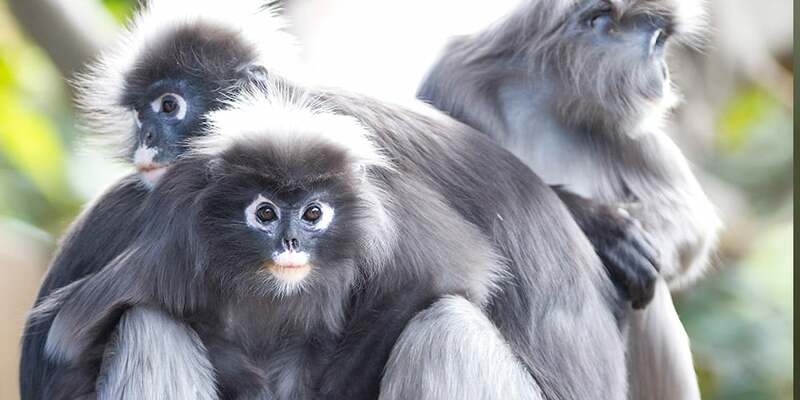 There are seven different subspecies of Dusky Leaf-monkey ranging across Malaysia, Myanmar and Thailand. 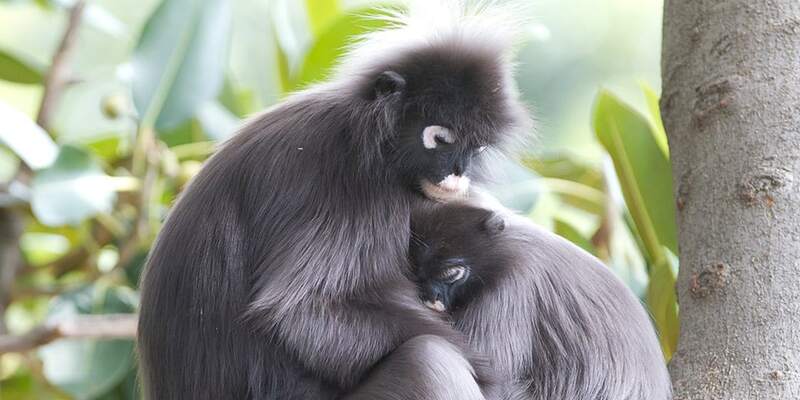 Dusky Leaf-monkeys are generally grey in colour and have white patches around their eyes and mouth. Babies are born with bright orange hair and develop their adult colours at around six months old. These monkeys have distinct territories guarded by male troop members that will not overlap with other groups. They vocalise to let other groups know where their territory lies. Groups will have at least one male, two females and their offspring with typically 5-20 individuals in a group. In addition to maintaining the territory boundary, males keep the group together and watch for predators. Females look after the offspring. In the wild, Dusky Leaf-monkeys eat mainly leaves. They have a specialised stomach that can breakdown cellulose found in plant cell walls. They also eat other plant material such as seeds, fruit and flowers. Here at Adelaide Zoo it’s hard to feed them exclusively on the leaves they would find in the wild so we make sure their diets are nutritionally balanced with lots of leafy greens and vegetables. 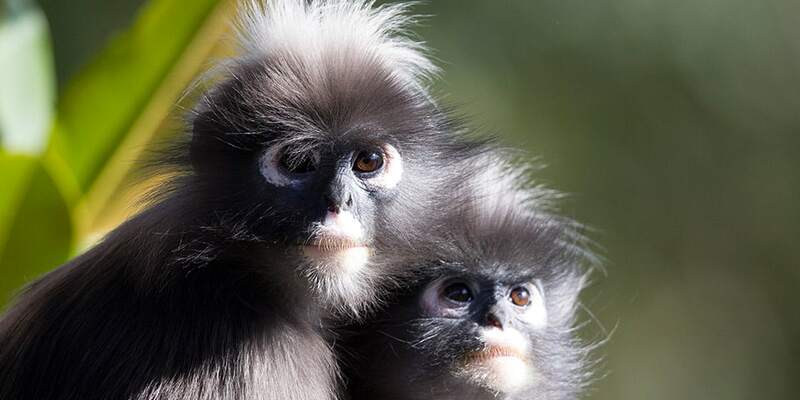 The wild Dusky Leaf-monkey population has declined at a rate of 30 per cent over the last 30 years. The main threats include habitat loss from farming and human settlement. 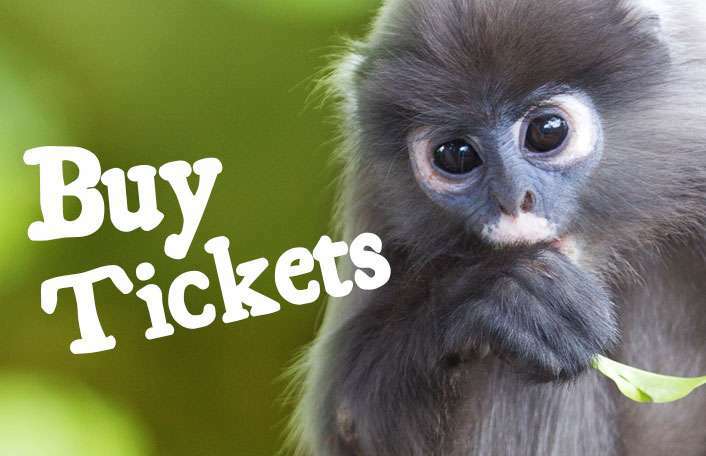 Love Dusky Leaf-monkeys? 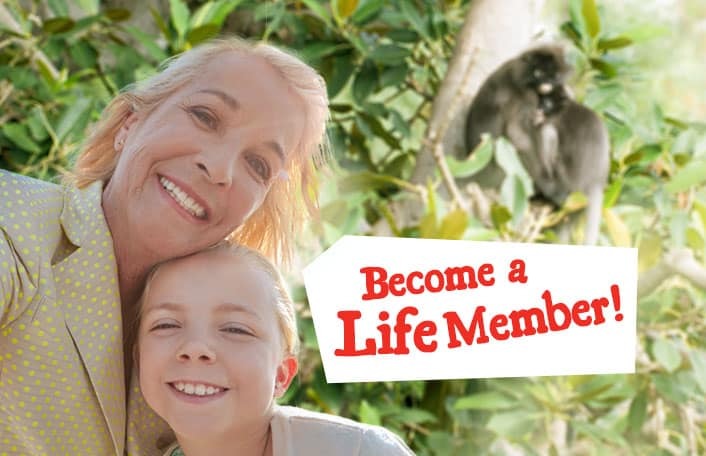 Join our troop and ensure these monkeys stay a swing ahead of extinction! There are many ways you can help support these beautiful animals. 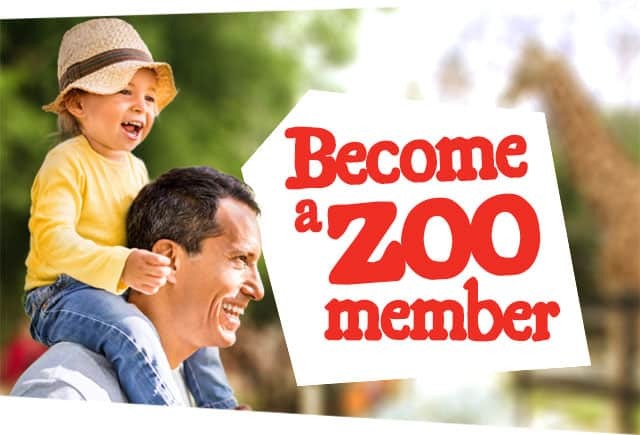 Zoos SA is a not-for-profit conservation charity that exists to connect people with nature and save species from extinction.